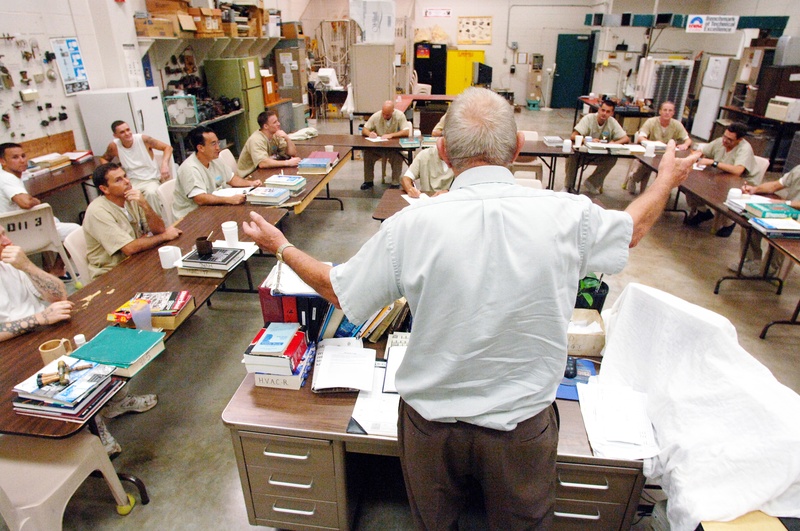 When inmates step into the classrooms at CoreCivic’s Saguaro Correctional Center in Eloy, Arizona, they are told to drop the phrase “I quit” at the door. Saguaro houses inmates for the Hawaii Department of Public Safety. Far from home, many inmates turn to the classroom to briefly forget their sentences or their homesickness. In addition to helping inmates earn GEDs, Virgin works with those in the Special Housing Incentive Program (SHIP) — an 18-month behavior modification program mandatory for inmates involved in security threat group, or “gang,” activity. Upon finishing SHIP, inmates can enroll in GED classes. Once they have a diploma, they can start taking vocational training courses or even apply for scholarships offered by the state of Arizona to pursue higher education opportunities at the college level. Virgin said she also had an inmate in his 50s graduate with a GED.